you can use them to match outfits or to grab all eyeballs at a theme party or just to be fun and quirky. 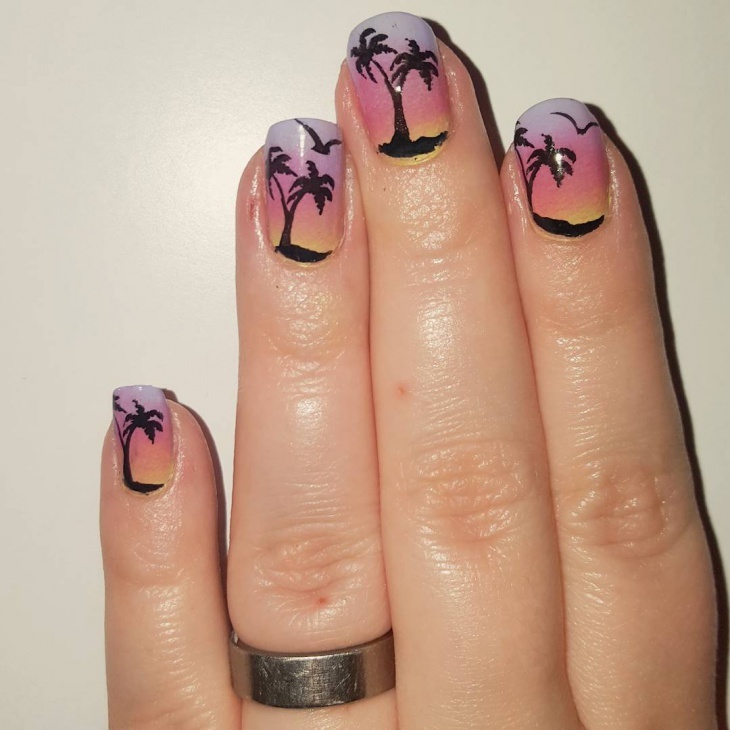 Nail Designs have come a long way from the Dark Red, and now you can choose from an array of Nail Designs, multi-coloured, sunset, with various other designs matching the theme that one is going for. 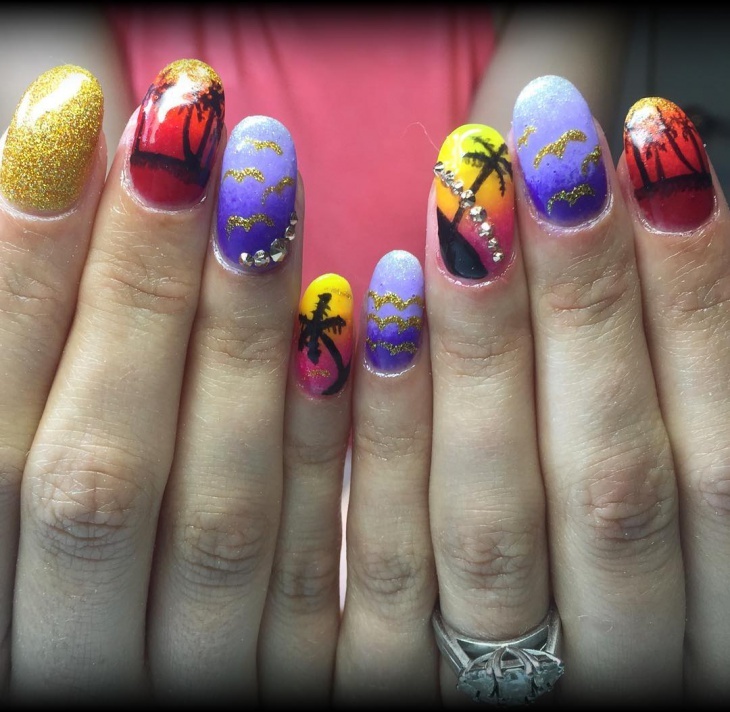 Sunset Nail Designs have recently become all the craze having flooded all social media platforms, particularly the Multicolored Sunset Nail Design. 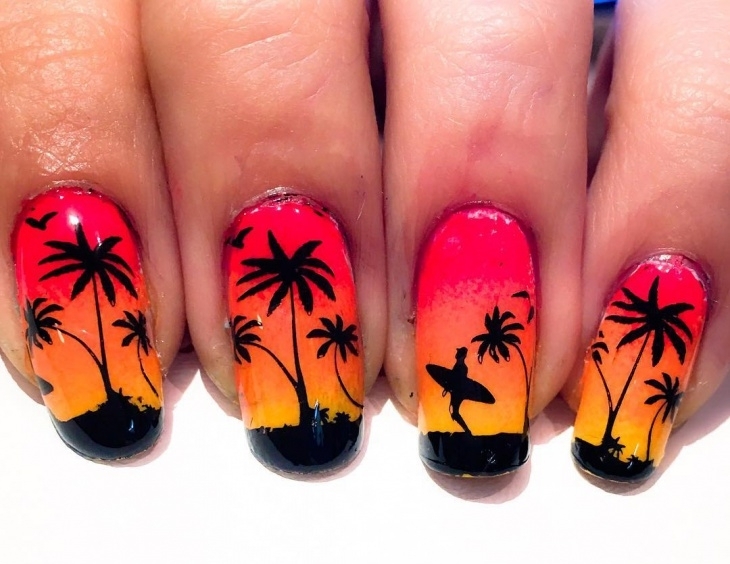 It is simple and you can have them designed on either one nail, or all with a choice of colours, you don’t need to settle for the usual orangish sunset, instead you can put in red, yellow and darker shades along with a blue for water. 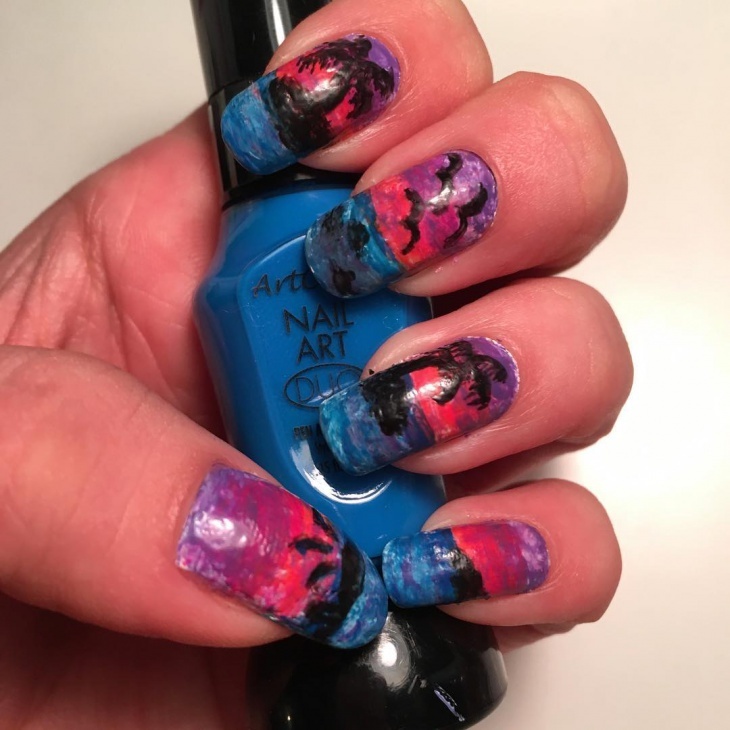 You can get creative with the color matches and explore your inner Picasso. 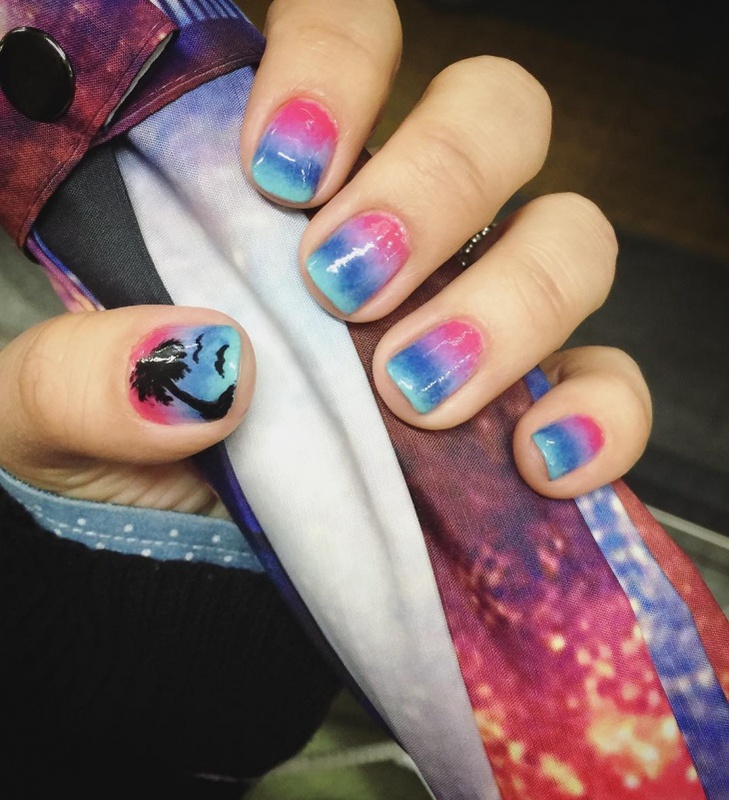 Why not create your own theme for a Nail Design? 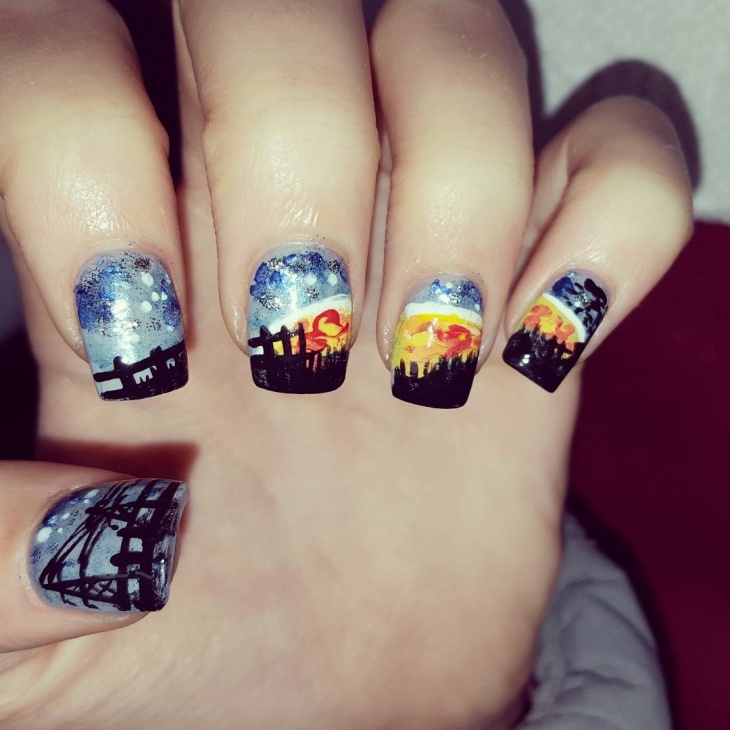 Put in maybe a landscape or a view from your window, or take it one notch higher and make a Marvel based theme or adorn your nails with an Egyptian based theme or Venice or the Taj Mahal. 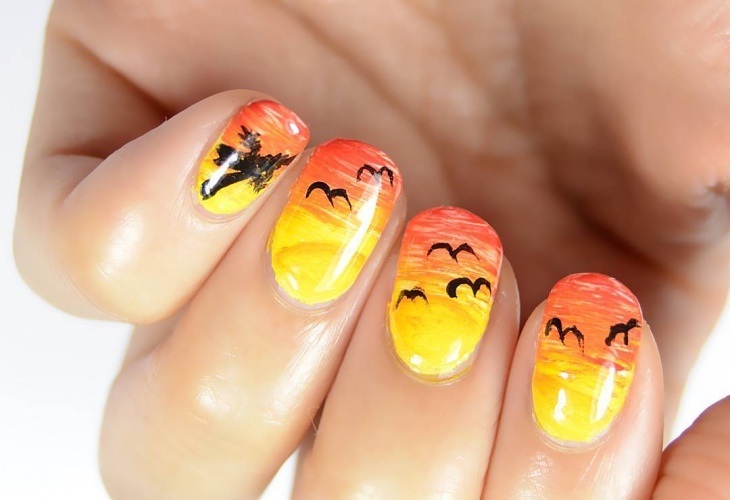 Another famous Sunset Nail Art Design, you can literally let your imagination go wild on sunsets. By using ambient complementing colours, you can make it a masterpiece. 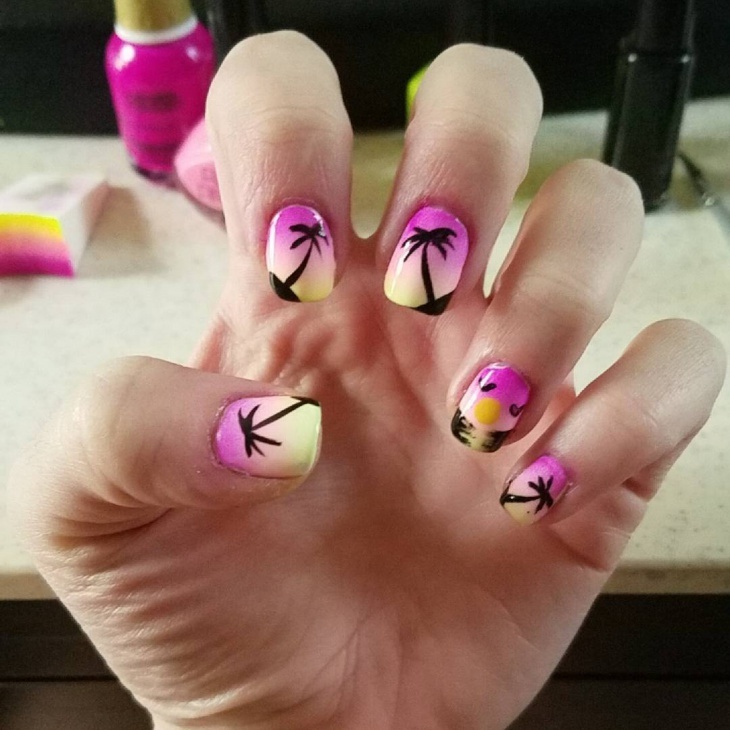 Palm Tree Nail Designs are an emerging nail design that has been getting a lot of traction off late. 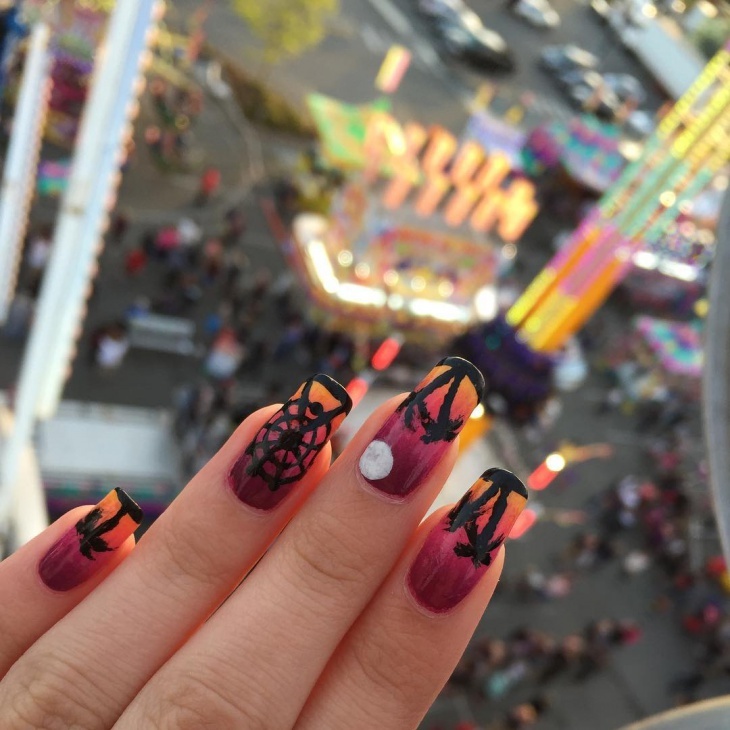 Although much simpler than the Sunset Nail Art Designs and the themed Nail Art Designs, they are quite fashionable, and are popular among the younger crowd. 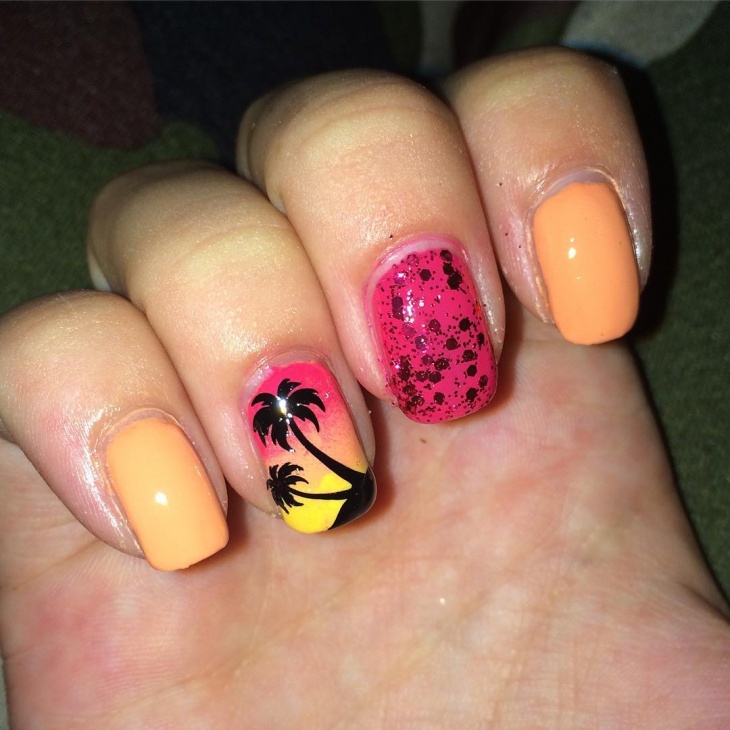 Small Nails sometimes are not ideal for Extensive nail designs especially when it comes to landscapes and beaches. 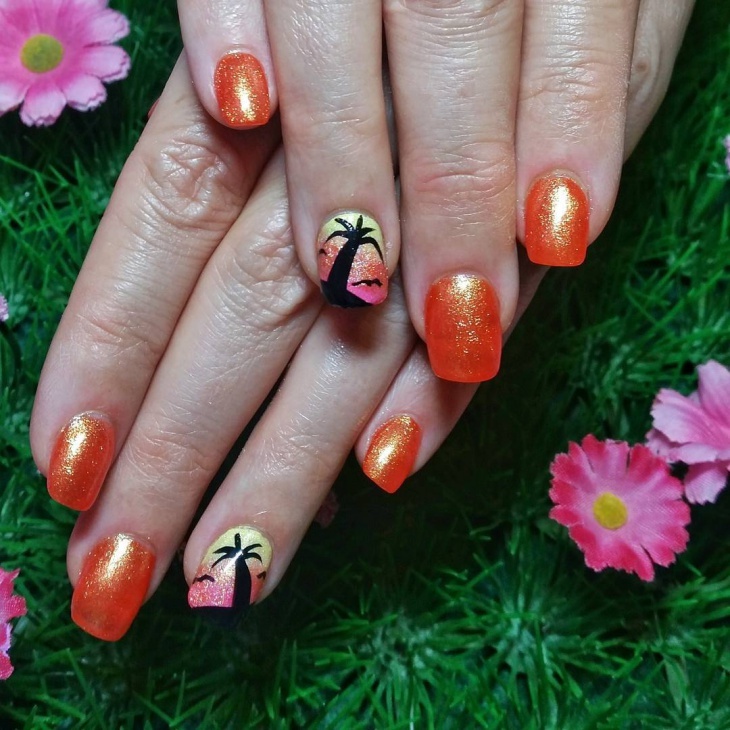 However if you do have a steady hand you can try out loads of quirky summer nail designs, combining glitter with artistic designs. For those willing to experiment with colours, here is a new idea that has been doing the rounds. 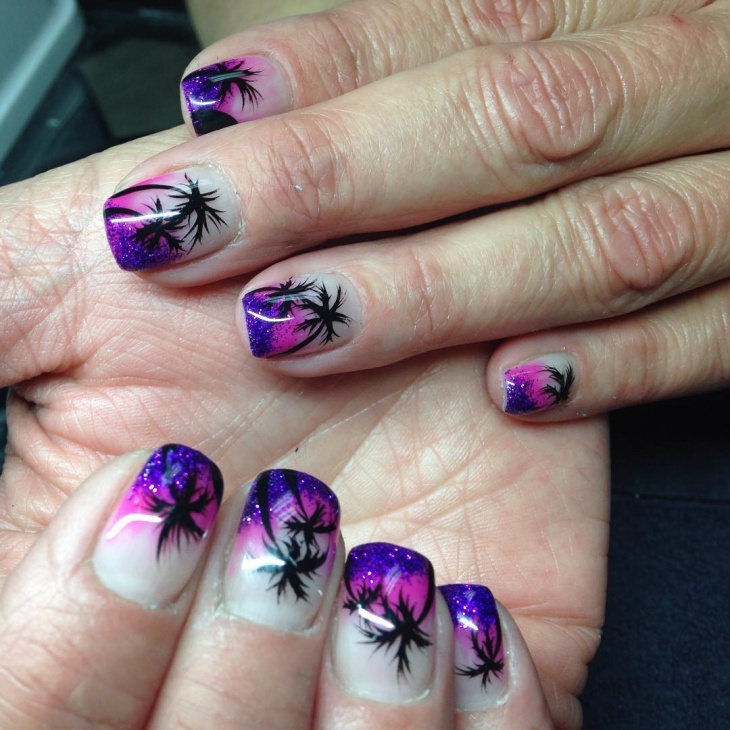 Get bubbly colors to fit in with different shades, and with the right fade effect you can pull off amazing designs. 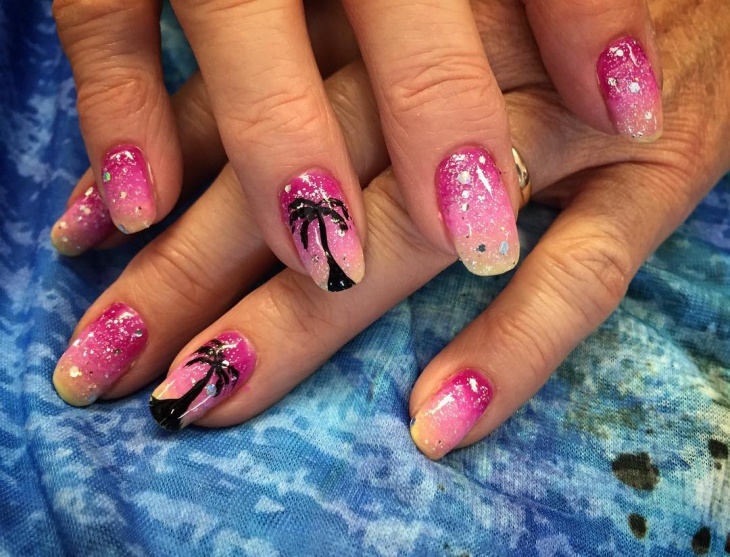 Glitter is making a comeback among the Nail Design freaks. 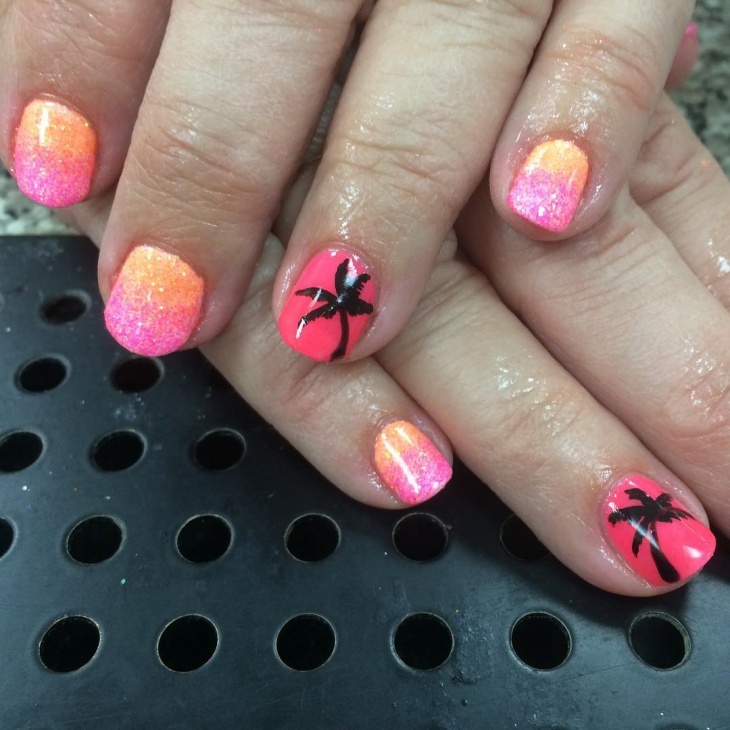 Couple Silver Glitter Gel with a Sunset Nail Design and Voila! 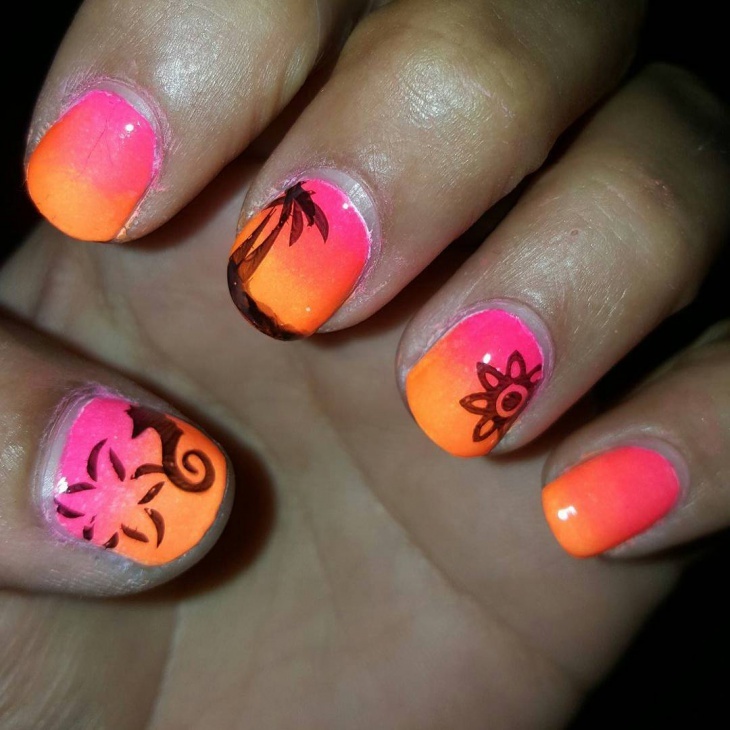 You have a great combination of colors and you have glitter and of course the Sunset. 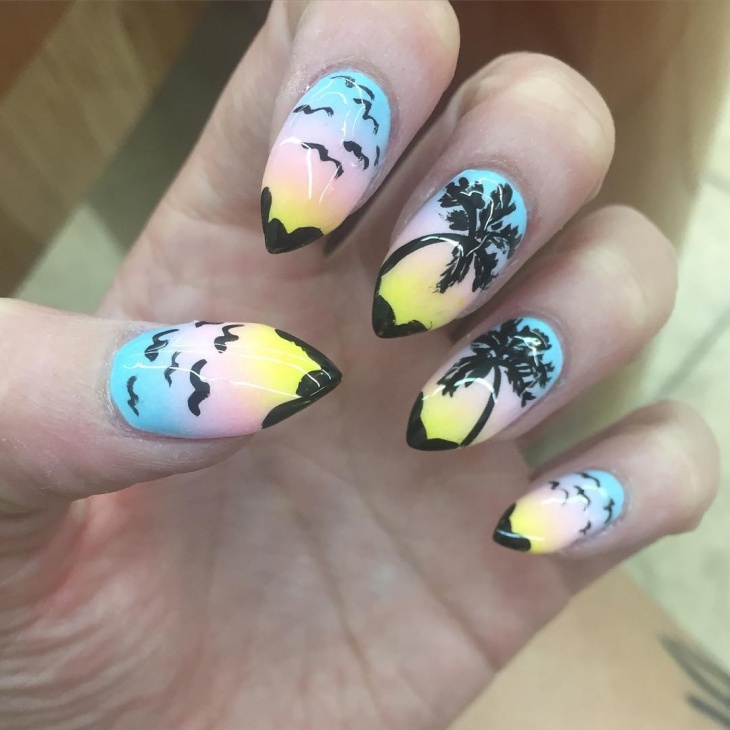 With the Tropical Sunset Nail Design, you can introduce your own theme and combination of colours with abstract designs using clouds and putting together the combination of sunlight, water and the clouds. 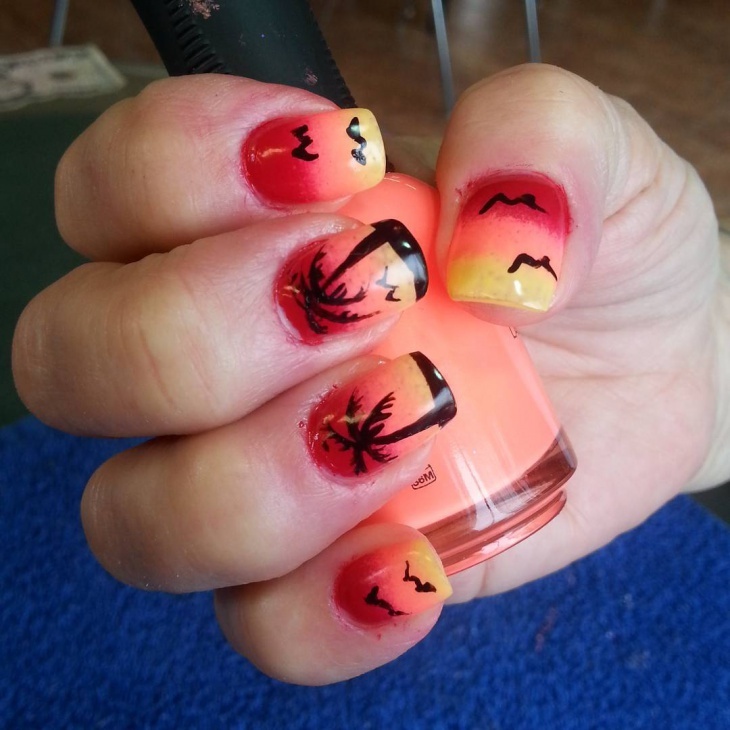 Why make a simple Sunset Nail Design, when you can do a whole lot more? 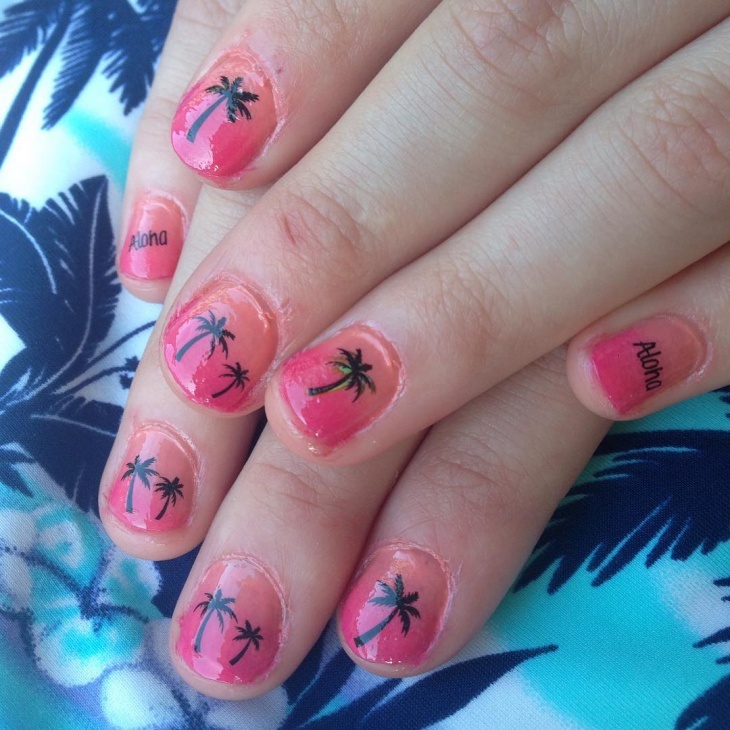 Put in Gradients and you have a perfect set up for a day at the beach. Gradient may be a little harder to paint on, but it sure is worth the fruit of your labour. 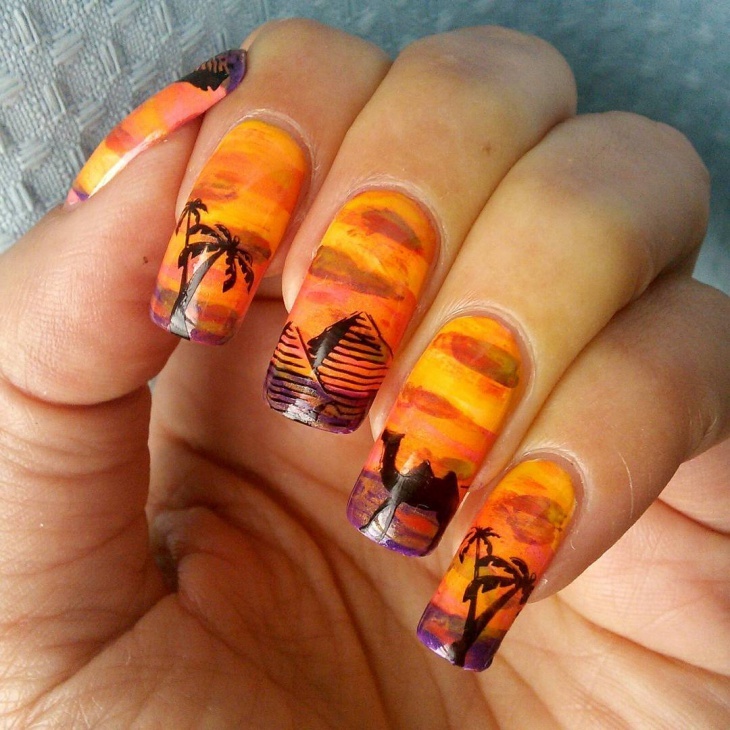 You can go crazy with Acrylic Nail Designs and couple that with a Sunset Design and you have a canvas painted onto your nails. This is trending right now in social media and you could become quite the heroine among your friends.